In Tolkien in Pawneeland I have shown how JRR Tolkien made use of Skidi Pawnee traditions in constructing Middle-earth. As an academician Tolkien had ready access to global literature, and in his fictional world-building he seamlessly wove together elements from various traditional mythologies into his own vision of a legendary past. The inventive weaving of threads from diverse materials served him as a useful creative strategy throughout his life. This strategy is evident in Tolkien’s recently released “Sellic Spell,” his reconstruction of the lost folktale that gave rise to the Beowulf poem. Tolkien wondered whether he could “reconstruct the Anglo-Saxon tale that lies behind the folk-tale element in Beowulf.” The study of the transmission of verbal documents over long time periods is necessarily an art, not a science – he knew this kind of project could not be accomplished “with certainty,” but he thought he could do a rendering that would reflect “the difference of style, tone and atmosphere if the particular heroic or historical is cut out.” He seemed to mean here that references to historical events crept into the original folktale, as well as a heroic dimension, and if these elements were deleted, one might well have in hand an ancient folktale – the ancient tale that at some point morphed into a historically minded heroic elegy. To recreate the forgotten story that led to Beowulf, Tolkien pondered a widespread folktale called the “bear’s son tale.” He followed a trajectory of logic that he described in 1943 as “turning… the bear-boy into the knight Beowulf…” And he had at hand a substantial body of literature to study. We might presume that the back-engineering of the substance of a lost tradition would be based on the systematic review of surviving descendant narratives among related literary traditions, but it does not appear that Tolkien left notes reflecting any such study of relevant textual materials. In the course of composing his essay, “On Fairy-stories,” Tolkien conducted a wide-ranging survey of fairytale / mythological literature between 1938 and 1943. This was the same period when he is believed to have written “Sellic Spell,” and in fact Tolkien made mention of the bear’s son tale in that essay with the statement, “We read that Beowulf ‘is only a version of Dat Erdmänneken…’” Verlyn Flieger and Douglas Anderson note that this is a reference to a Brothers Grimm story which “bears virtually no resemblance to Beowulf.” But the story in question is a typical tale of the bear’s son legend complex. When compared to “Sellic Spell” the resemblances are clear. The section of “On Fairy-stories” where Tolkien made mention of Dat Erdmänneken is interesting because he gave it the heading, “Origins.” There he dismissed the work of folklorists and anthropologists as “people using the stories not as they were meant to be used, but as a quarry from which to dig evidence, or information, about matters in which they are interested.” But we should read this criticism through Tolkien’s own preferred lens – a lens through which he peered at textual material in search of useful details to set into his own stories. And Tolkien knew to look at Dat Erdmänneken due to the analytical research of a greatly esteemed colleague and friend, RW Chambers, who briefly mentioned the story in Beowulf: An Introduction to the Study of the Poem, published in 1921 with a new edition in 1932. Chambers cited the story as an example of the bear’s son tale, together with another Grimm story from the same collection – the two stories account for at least two minor details and a deleted passage in “Sellic Spell,” pointing to Tolkien’s typical usage pattern. Verlyn Flieger and Douglas Anderson present a list of publications consulted by Tolkien in preparing “On Fairy-stories,” and this list contains references to two additional works cited by Chambers in his consideration of the bear’s son legend complex. Tolkien’s research for “On Fairy-stories” and “Sellic Spell” thus overlapped, and the seeming absence of research notes for the latter could mean that as Tolkien’s work for “On Fairy-stories” unfolded he found sufficient material to prepare “Sellic Spell” to his satisfaction. Flieger and Anderson found two notes in the draft manuscripts for the essay showing that Tolkien searched through Andrew Lang’s fairy books for a story that resembled Beowulf. When this search failed to turn up a likely candidate, he noted, “It should be retold as a fairy-story.” Christopher Tolkien believes that “Sellic Spell” was written by his father during the early 1940s; Flieger and Anderson suggest that the story might have originated in the spring or summer of 1943. In the end, it is apparent that Tolkien turned to an English translation of this Russian tradition for help. 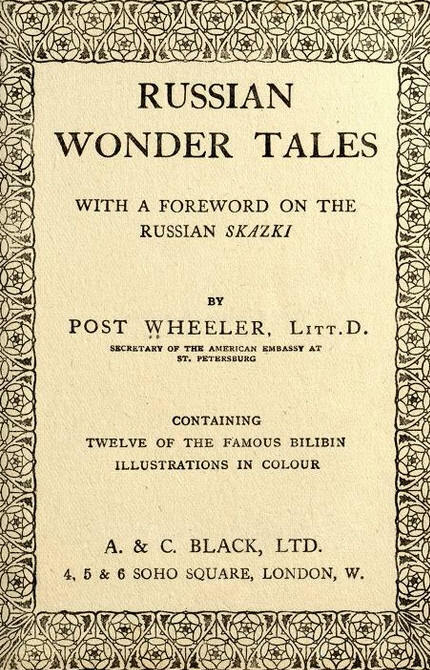 Textual comparison shows a number of elements that match between “Sellic Spell” and a 1912 translation of the Russian story called “Little Bear’s-Son” in Post Wheeler’s Russian Wonder Tales. Some of these parallels are general defining features, and so must be common to many versions. Tolkien knew well the Norse Grettis Saga – we can guess that he reviewed it in the course of writing “Sellic Spell,” and it must have been helpful in various ways, but there does not seem to be any clear indication that he borrowed anything unique from the saga. In fact, since Tolkien left no record of the research he did for this project, we can only identify a handful of texts that he arguably consulted aside from Beowulf, and this includes the Russian story. The textual convergences between “Sellic Spell” and “Little Bear’s-Son” are notable. In the Russian story a peasant who hunted bears and wolves “tracked a bear to its den, and having killed it, he found there to his astonishment a little boy three years old, naked and sturdy, whom the bear had stolen and had been rearing like a cub.” Tolkien has huntsmen encounter a bear, and they “tracked him to his lair and killed him, and in his den they found a man-child” and they “marveled much, for it was a fine child, about three years old, and in good health,” and the huntsmen thought “it must have been fostered by the bears, for it growled like a cub.” In the Russian story “[t]he lad grew” and “did not realize his own strength… as he played with the other lads of his village…” But his strength was dangerous and the neighbors complained. Tolkien wrote that “Beewolf grew, and as he grew he became stronger, until first the boys and lads and at length even the men began to fear him.” In the Russian story the bear-boy goes into exile and travels, encountering three strong giants who he befriends as companions, including one called “Oak-man.” Tolkien has Beewolf set forth from his home, and he falls in with several companions who have magical strength, including one named “Ashwood.” The Russian story has the new friends setting up a home, and each of the giants takes a turn watching the home, but each is worsted by a horrible enemy. Tolkien has Beewolf and his two companions appear at Heorot, and the two companions each take a turn at watch, and each is worsted and slain by a horrible enemy. The Russian story has the bear-boy taking his turn and besting the horrible enemy, who escapes. Tolkien has Beewolf taking his turn and besting a horrible enemy, who escapes. The Russian story has the bear-boy entering a hole in the ground, where the horrible enemy “is a hundred times more powerful… surrounded by her enchantments…” Tolkien has Beewolf enter a lake and an underground cave and there he meets a horrible enemy and “[v]ery strong she was, there in her own house over which many spells were woven.” The Russian story has the bear-boy eventually encountering the horrible enemy, and he beheads her with a sword. Tolkien has Beewolf confront the horrible enemy, and he beheads her with a sword. The Russian story has a betrayal when the bear-boy climbs a rope out of the underworld and he falls back underground. Tolkien has Beewolf betrayed while climbing his rope, and he falls back into the lake. The Russian story has the bear-boy receiving aid from a bird. Tolkien has Beewolf swimming in the lake looking to escape, “but there was no way up… save for birds.” The Russian story has the bear-boy eventually prevailing and the story ends with his marriage. Tolkien has Beewolf prevailing and the story ends with his marriage. John Rateliff’s discussion of Medwed / Beorn in The Hobbit shows that Tolkien was thinking as early as circa 1932 of a reference to either a Russian term or a Russian source-story for the fantasy commingling of bear and man. Douglas Anderson thinks it is likely that Tolkien’s formulation of Beorn reflects the Chambers publication on Beowulf, with its abstract of “Ivashko Medvedko.” It is clear enough that Tolkien was indeed thinking of Russian tradition and “Ivashko Medvedko” during the writing of The Hobbit, given his use of Medwed as the original name of Beorn. But his story contains nothing of the bear’s son tradition. When Tolkien wrote The Hobbit he decided not to draw from Russian folklore for his portrayal of Medwed, and he eventually dropped the Russian name and replaced it with a Norse name. As I explain in Tolkien in Pawneeland, he nevertheless did make use of pre-existing myth to construct his tale of Beorn – in this case, he drew upon a Pawnee tradition for raw material. Seeing a spectrum of corresponding elements between “Little Bear’s-Son” in Russian Wonder Tales and “Sellic Spell,” it is evident that Tolkien consulted the Russian story sometime in 1943 and drew useful elements from it. He did not invent all the story elements in “Sellic Spell”; instead, he borrowed pre-existing traditional elements from a handful of stories and he wove them into his narrative. Following this process of invention, Tolkien felt satisfied enough with the result that he was willing to affirm that indeed a “bear-boy” tradition served as the originating source for the story of Beowulf, as he wrote in a 1953 lecture: “…the Bear-boy lurks behind the heroic Beowulf…” Pondering the “unhistorical” Beowulf, Tolkien pictured a “bear-man” and a “giant-killer” most at home in the world of fairytale. And after stripping away what he considered to be a later accretion of heroic knighthood, he thought we should find a “lumpish and greedy bearboy, who is a trouble to keep and feed, but who is now offering to earn his keep…” The end result is a regressive transformation of the Christianized Anglo-Saxon knight Beowulf into Beewolf, a “lumpish and greedy bearboy” who ultimately becomes “a great lord.” This reconstructed story is slightly Russianized, but Tolkien deemed it a useful representation of the kind of folktale that might be told at an Anglo-Saxon fireside of circa 700 CE. Borrowing material from a Russian tradition, Tolkien added details to “Sellic Spell” that he felt would impart a tone of antiquity, a primitive folkloric quality. This was also the composition procedure he followed in his use of Pawnee traditions. Tolkien’s creative agenda in part had to do with expressing what he deemed a “Northern spirit” related to English and Anglo-Saxon culture – that is, an esoteric quality that he associated most strongly with things Norse and Old English tradition. Russia lay somewhat askew from such associations. And Pawneeland could never have an explicit place on any map of Tolkienian Northernness. When Tolkien decided to make use of a Skidi Pawnee story to colorize the story of Beorn in The Hobbit, his choice of a story was interesting. 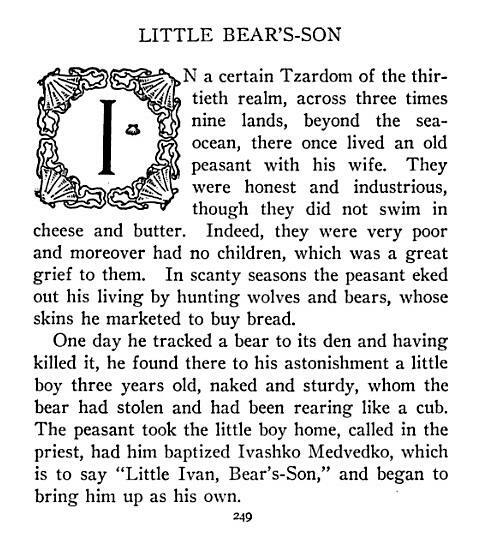 As I explain in Tolkien in Pawneeland, the story he used was called “The Boy, the Bears, and White Crow” – this tradition features recognizable traces of the bear’s son tale. This legend complex was not limited to Europe. It is also found throughout North America, and this may help to explain why Tolkien made use of it. He knew about the wide European distribution of the bear’s son tale from a long history of scholarship on the topic, including from RW Chambers 1921 edition of Beowulf: An Introduction to the Study of the Poem. He must have found it interesting to encounter a version of the story in America. The fact that he began with the name Medwed for Beorn tells us clearly that he knew about the bear’s son legend complex. 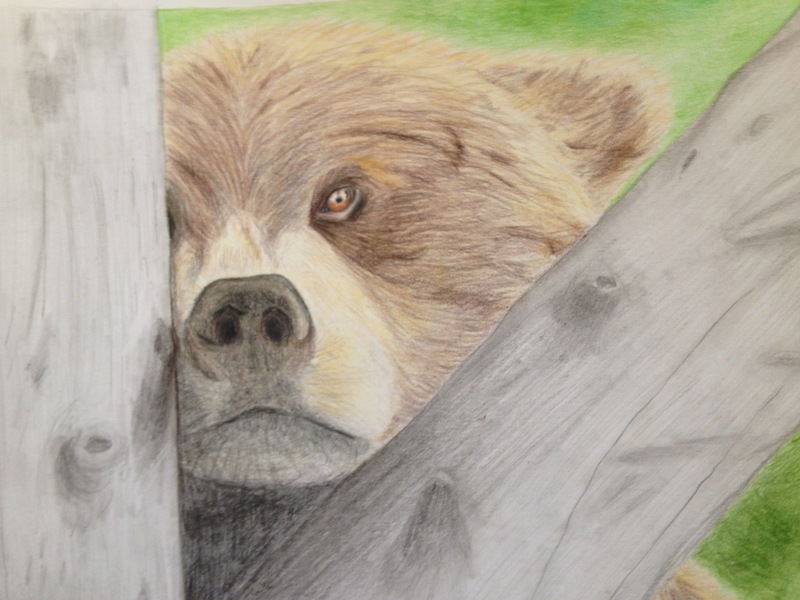 He drew from a Russian bear’s son story for the name, and he drew from a Pawnee bear’s son story to colorize his tale. But he had no interest in retelling the bear’s son legend, so he made the story of Beorn unique, a marvelous weaving of tradition and creativity. All the traditions of the world lay near to hand for JRR Tolkien, and he used them to tell his stories, weaving together their magic. And he found the traditions of Pawneeland useful, just as he found the traditions of Europe useful. Details from Pawnee tradition could colorize his vision of Middle-earth. And observing him at work weaving very diverse sources into his legendarium, we must learn to re-envision the significance of Middle-earth as a place made of the whole world. When we peer into the stories told by JRR Tolkien, we glimpse strange secret rumors and hidden whispers, and we see that he truly was a teller of marvelous tales.